The United Nation just started its plan to save Tuvalu from climate change, a program included in the Green Climate Fund with a budget of 36 million US dollars. The UN wants to spend this money over the next 40 years in the tiny Pacific archipelago of 10 600 people, a country of atolls with an average elevation of 1.8 meters (6 feet). 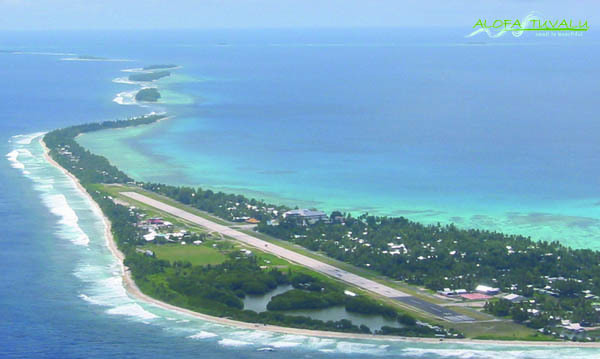 Scientists expect Tuvalu to be one of the first modern country to disappear under water to rising sea levels caused by global warming, with other atoll countries such as Kiribati, also in the Pacific. The first transfert of 2 million US dollars to the UNDP (United Nations Development Programme) just got approved. It will start with an upgrade to “existing infrastructure to protect coastal areas, including sea walls. It will also make coastal management more resilient and catalyze other sources of adaptation finance” explains the Green Climate Fund. The program will also try to build natural resilience by protecting the eco-systems that keep these islands afloat. 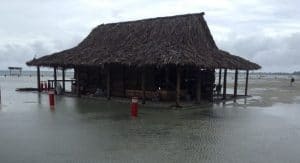 The need for such urgent spending has been made all the more evident after cyclone Pam in 2015 caused one the 9 islands of the archipelago to be entirely submerged, causing an evacuation of its population. Salt water inundations are now pretty common, and rapid erosion of the coast of the islands seems hard to counter. The alarm is so great that the local government started looking for land to buy in New Zealand and Australia, to secure a new home for the tuvaluans if the worst comes to happen. Next Next post: New Zealand’s lost 8th World Wonder spotted!